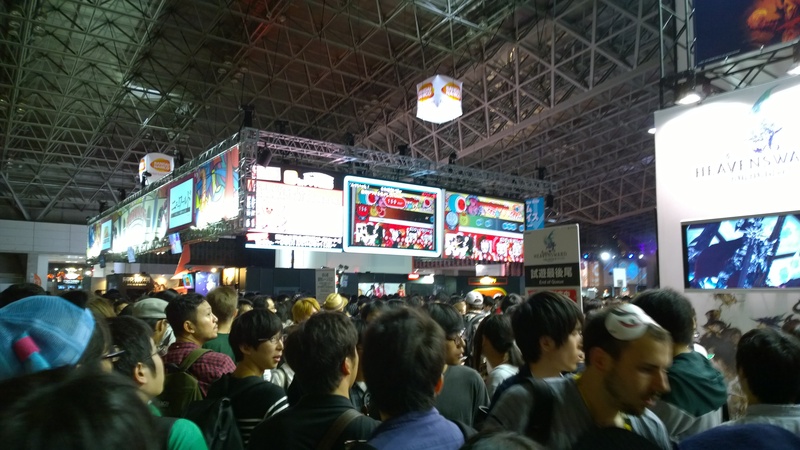 This year I embarked on my first trip to Tokyo to check out the Tokyo Game Show, the largest gaming convention in Japan. I have been told by other developers that Tokyo Game Show is something I should see and they were right. 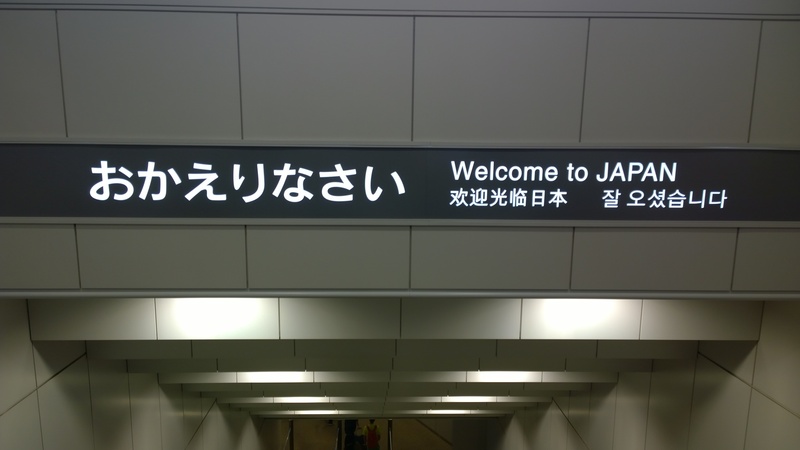 I am going to give some highlights and what to expect to see if you are an indie developer going to Tokyo Game Show 2015. When you walk off the plane the first thing you see! 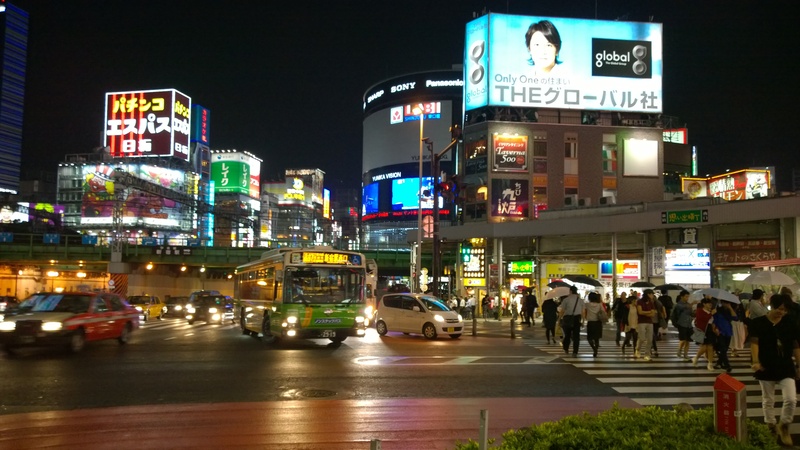 If you go to Tokyo be sure to pack some nice running/walking shoes, you will be doing alot of walking around to go from train station to train station. To get the the show you will have to take the train from where you are (in my case Shinjuku) to Makuhari Station, it is about an hour ride (if you can find the right route to take). Once you are at the station, take roughly about a 30 min walk from the station too the Makuhari Messe (convention center). Once there you can pick your badge and check out the booths. The first two days are the Business Days, here you can check out and meet with the people involved with the gaming industry. When I first got into the convention I thought it was very spacious and and very gracious with the walkways, you will understand why in the public days section. 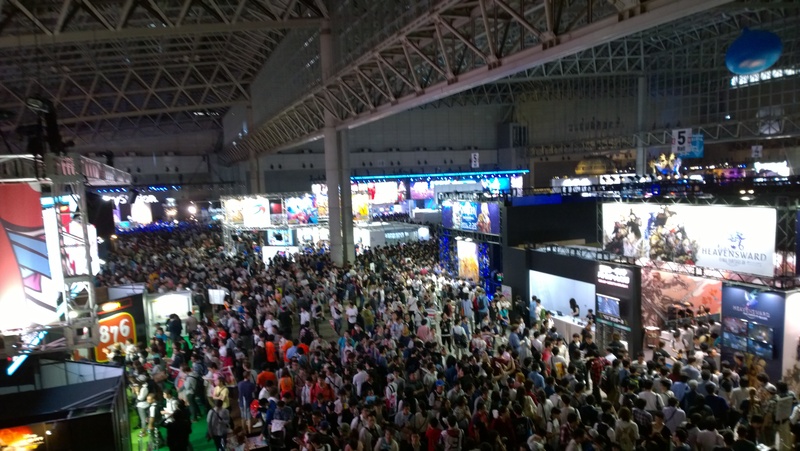 On the convention floor, you can check out various major companies, such as Capcom, BandaiNamco, Playstation, Konami, you can even see major game streaming services such as Youtube and Twitch. Also at the major company booths you get to see the latest games that will be out in the coming months, such as Street fighter V, an Attack on Titan Game, Dragon Quest Builder (a Minecraft-like game with Dragon Quest RPG elements), A new Final Fanasty Online game, and even saw Star Wars Battlefront and Last Guardian which I remember has been in development for years. There were also many different mobile games such as GranBlue Fantasy. You can also see any new updates/features to existing games. For example, you can see at the Konami Booth that they have announced that they will be having new skins available for their latest game in the Metal Gear Solid franchise – The Phantom Pain. Last Guardian, is it true, will they release it? Also in another section of the convention is for the Indie Games, here indie developers can showcase their work and even let people play. There I got to play and meet the developers of Undivided, Slashy Hero, March of Industry, and Astral Breakers. After checking it out I will definitely try to get a booth for next year. 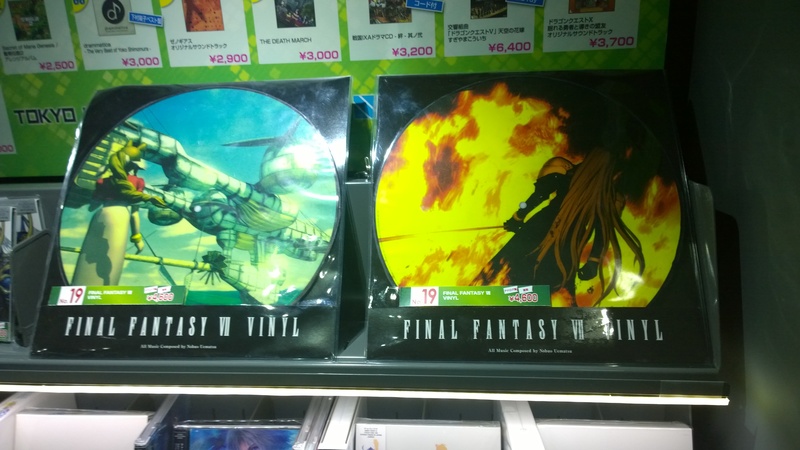 Also in the same area as the indie booths, you can find various types of merchandise based on your favorite game. Like Final Fantasy? Check. Like vinyl? Check. Well, you can it there. Also at the convention you can find plenty of girls doing cosplay. Many people were lining up to take pictures of your favorite gaming/anime characters. The third day of the convention is when they make it public to the people to go in and check out. I was overwhelmed by the sheer amount of people that arrived to the convention, it was literally wall to wall people walking the convention. If you are part of the gaming industry I would recommend doing anything you need to do at the convention during the business days. Public Day, Look at the People! After the convention, I went to Akihabara. Akihabra is where they have a shopping district for video games, anime and manga. Here you find the latest games of today and games of yesteryear. 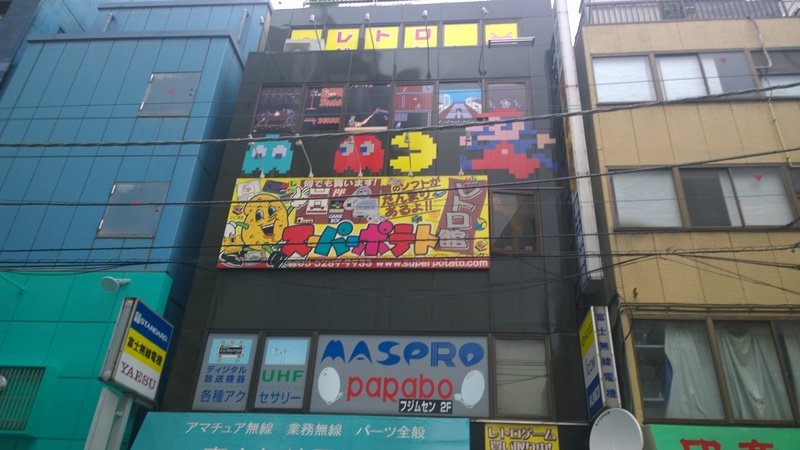 My first stop was the classic gaming superstore Super Potato. Here you can find NES (Famicom), SNES (Super Famicom), Genesis (MegaDrive), Sega Saturn, Dreamcast, and other classic games that range from extremely cheap to extremely expensive (and rare). Also on the top floor they have a small arcade where you can play the classics such as Donkey Kong, Street Fighter, and many others. 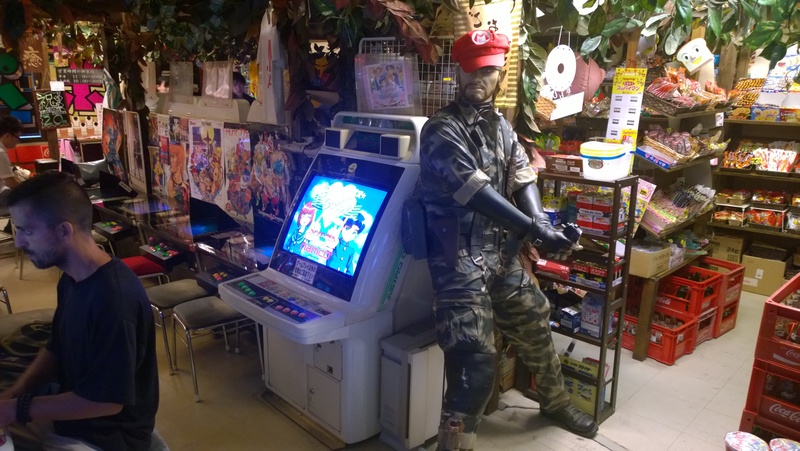 Also throughout Akihabara you can find multi-floor arcades, such as Sega and Taito, where you can play the latest arcade hits for around 100 yen a game (about $1 USD). Overall, I would say it was a great experience, got to meet some new developers and even reconnect with some old ones. I will definitely try to submit my next game for the Indie Booth section for next year.